ROAD TOWN, Tortola, VI- Lee Martin, 66, and Mitchell Warren, 43, were granted pre-trial liberty on April 4, 2017 when they appeared in the Magistrate’s Court on charges of possession of an assault rifle and ammunition. The two were aboard the vessel, Tenacity, when it was searched by customs and police officers who unearthed the illegal weapons on January 20, 2017. The boat is registered as being from St Vincent and the Grenadines and was docked at Port Purcell when the discovery was made. 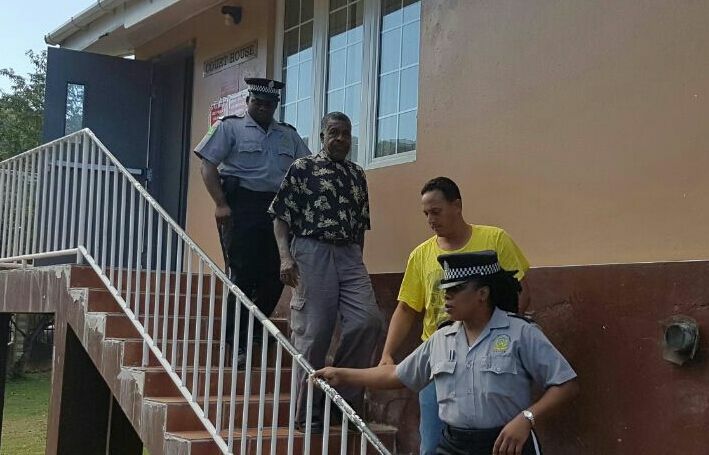 Prosecuting the matter, Senior Crown Counsel Leslie-Ann Faulkner told the court that during separate police interviews Martin and Warren denied knowledge of the firearm and ammunition. Without a lawyer to represent him, Martin had a tough time representing himself in trying to secure bail before Magistrate Ayanna O. Baptiste-DaBreo, especially as it related to where he was going to reside if granted bail. He is a native of Trinidad and Tobago but lives in St Vincent. He told the court that he is the father of five children but is single despite marrying twice. The first wife died of cancer, he told the court. On the other hand, Warren did have legal counsel in court on April 4, 2017, Attorney at Law E. Leroy Jones, who told the court his client has frequented the territory in a professional capacity being an employee of Silvester Shariff Marine in St Vincent and the Grenadines. However, Jones told the court that his client couldn’t plea to the charges at the time because he did not receive certain documents from the prosecution. Both Martin and Warren were given bail at $60K each with one or two sureties. However, they were each required to pay $10K in cash. Pure hog freaking wash u chatting. Everyone need to be treated the same. If we go to the other Caribbean countries, we may not get a bail so easy. You will get a run around first. Money talk in those countries. To be poor it seems is already a crime let alone being ignorant of the law.